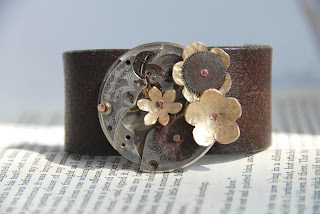 Today's feature is a guest post from Angie Lawlar of Steampunk Funk. My name is Angie Lawlar. I live in Juneau, Alaska and completely love it! However, that is not to say that on some days I don't miss Washington state, because I do. 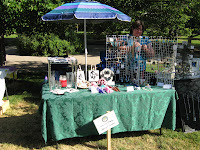 I have been an Etsy seller since August of 2010. 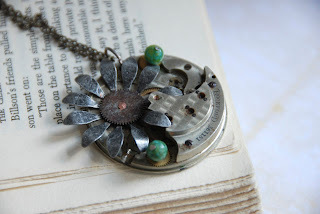 I create my art with as many found objects, recycled materials and upcycled items as I can. This comes with it's fair share of challenges but for the most part it creates an environment filled with new and evolving styles. I came up with my shop name the usual way...my first, second and third choice were taken. So finally, after striking out 3 times and looking at a piece I had made, it came to me that I create Steampunk style items. 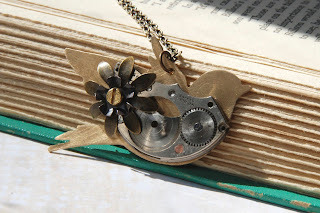 Old time pieces paired with present day accessories - kind of funky, kind of edgy. Light bulb! Steampunk Funk. 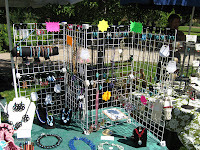 My biggest challenges of selling on Etsy have been marketing and upping my stock. Marketing is a jungle that I would just love to hide from altogether and increasing my stock is extremely hard to keep up with because the minute I reach above the 50 item goal, I get a wave of sales and have to go back to frantic, messy creating. I have found that Etsy truly does ebb and flow. During those ebb times is when you should be increasing your stock (creating a new line) and not sweating the small stuff. I have never had anyone question the price of my work and that includes the boutiques I sell at. I think people really get on the upcycled/repurposed bandwagon. It's such a great, stylish way to help the environment. It's wearable art you can feel good about owning and promoting. Marketing...not my favorite topic, but it is a vital one. First of all, I will never sell anything I wouldn't wear myself. 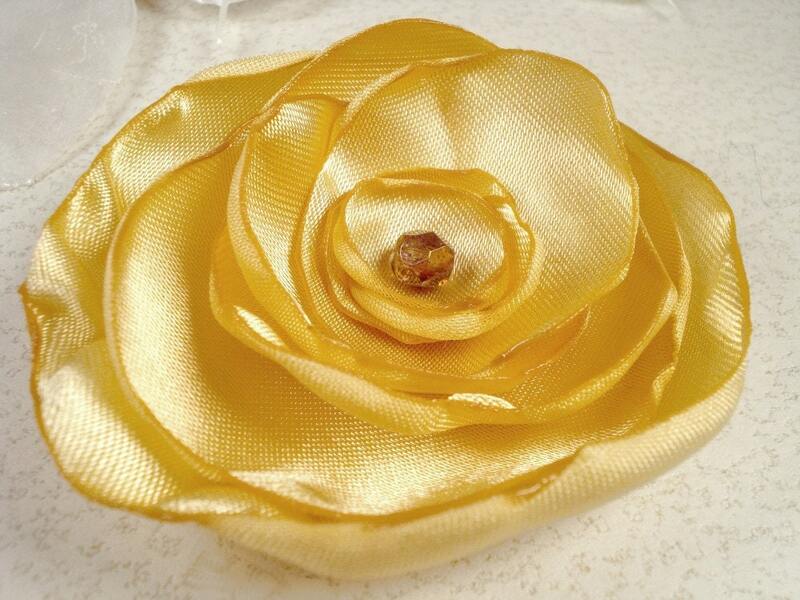 So I make pieces specifically for me to wear out and about. I always carry business cards for when I get the "Oh, I love that cuff - where did you get it?" I sell at boutiques and they include my business card with each of my pieces sold AND they have my cards in little spaces around the shops. I Facebook and blog new pieces about once a week. I try not to overkill those devices. I create treasuries every week, I try to create one in the morning and one in the evening...but that doesn't always happen. I feel it's important to spread the love for other sellers. I participate in the forums...but not the hater's threads. You will never find me partaking in a slam fest on other shops, featured artists, or Etsy. I think all of these things are a huge way to market your shop. It does take a ton of time and effort, there are nights when I don't get to hang with my best friend/husband of 10 years. There are times (many) when I'm the last one to bed and the first one to rise. It is just what comes with the territory of upstarting your own business. One thing I have found that does NOT work and are a complete waste of money are the showcases. Instead of those, I relist items. I relist on the times my Google Analytics says are the highest traffic times. For me that is 8 am, 5 pm, and 7pm. I have had plenty of positive experiences on Etsy, more so than negative. I give HUGE thanks to all of the sellers who have helped me out, given me tips, put me in treasuries and blogs and told me about Craftopolis and Craftcult. I would be back to square one if it hadn't been for the kindness of others. I believe every sale is a success whether big or small. Don't worry. I'm not going to make you take a test. My son had an interesting experience last week that made me think about this whole journey of starting my own little business. Dwayne is 21 and drives like a 21 year-old guy generally does. He was driving down the road with a burger in one hand, cell phone in the other hand, and a drink between his legs. Definitely not the safest driving scenario! The driver in the vehicle next to him saw how he was eating, texting, and driving at the same time. She started yelling at him (his window was open) and was very intent on telling him how unsafe he was. Unfortunately, she forgot to pay attention to her own driving and didn't see that the car in front of her was stopping. Crunch! I realized that I could learn something from this woman's mistake. She was so focused on what somebody else was doing that she lost track of her own driving. I've seen this happen to many people trying to get their small businesses started. Even though there's a lot to learn from seeing how other people are running their businesses, you don't want to spend more time looking outside your business than examining your own. Some Etsy sellers focus their energies on who they think is breaking the rules, reporting every possible violation to Etsy admins. If they put the same energy into their own shops, they would see more benefit. If you keep your eyes on your own paper (shop), you won't fall prey to outside distractions. After all, nobody could ever be a better you than YOU. Etsy started added a new tool for sellers last month. When you go to your "Your Account" page, there is a "Shop Stats" menu item that will open up a whole new world for you. Because it is new, you will only see stats back to the starting date. You may think that you have the whole statistics thing covered by using Google Analytics, but Shop Stats offers you something that Google can't. 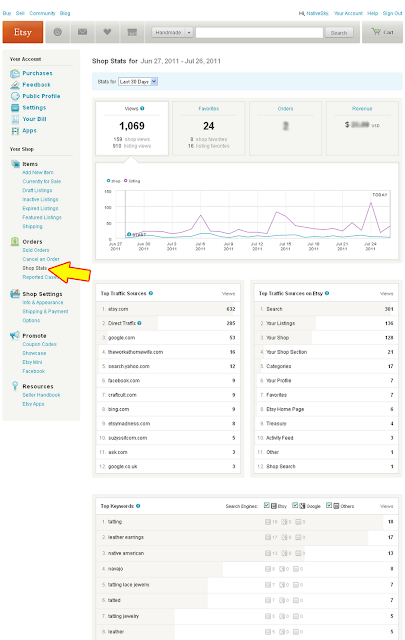 Google Analytics can tell you how many visits to your shop came from Etsy.com. 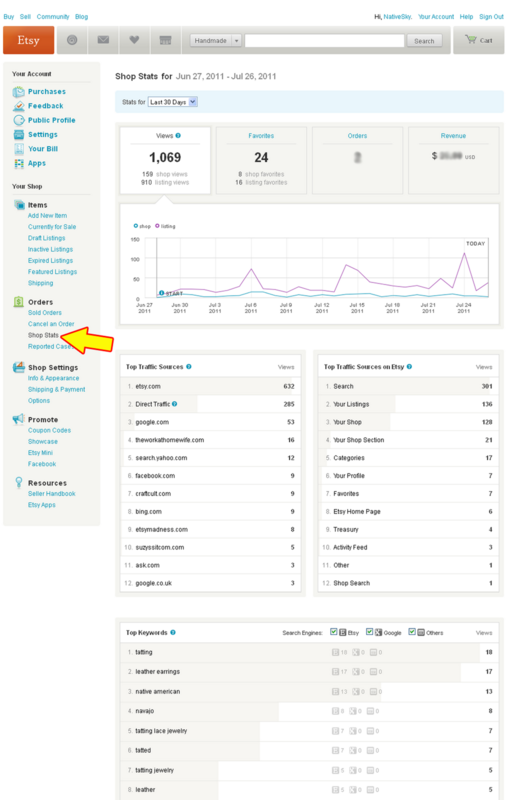 Shop Stats will tell you how many came from searches, treasuries, activity feeds, favorites, etc. Now you will be able to see if treasuries really do anything to promote your shop or how circles and activity feeds impact you. I was happy to see it broken down to show the number of people searching within my shop and even how many click on the category listings. The overwhelming majority of people visiting my shop are coming from within Etsy, but at least now I will be able to see how they found me. I can also see how effective it has been to join linky parties and how many people have clicked on the shop widget on my blog. Another stat box tells you the top keywords people used to find your shop when searching. It shows how many times each keyword was used on Etsy as well as Google and other search engines. This will help you as you generate keywords for your new product listings. It's nice to know what people are looking for when they land on your shop's page. Go check your Shop Stats and let us know what you discovered. What are you passionate about? It can be hard to identify the things you truly enjoy when society is constantly telling you what's "in" or "popular." I used to be intimidated about tatting because there are some extremely talented tatters out there and I felt I just didn't measure up. After a few disappointments in entering our state fair's competition, I tucked my shuttles and thread away. Today I saw a news story that inspired me. A 12 year-old boy is designing a a dress for First Lady Michelle Obama. This kid loves what he does and you can imagine all the taunting and teasing he has endured. He is now an apprentice to a designer and most likely well on his way to a wonderful career. My son told me about a friend who has a shop on Etsy and is selling like crazy. Most of what she sells is stuff for fans of Harry Potter. 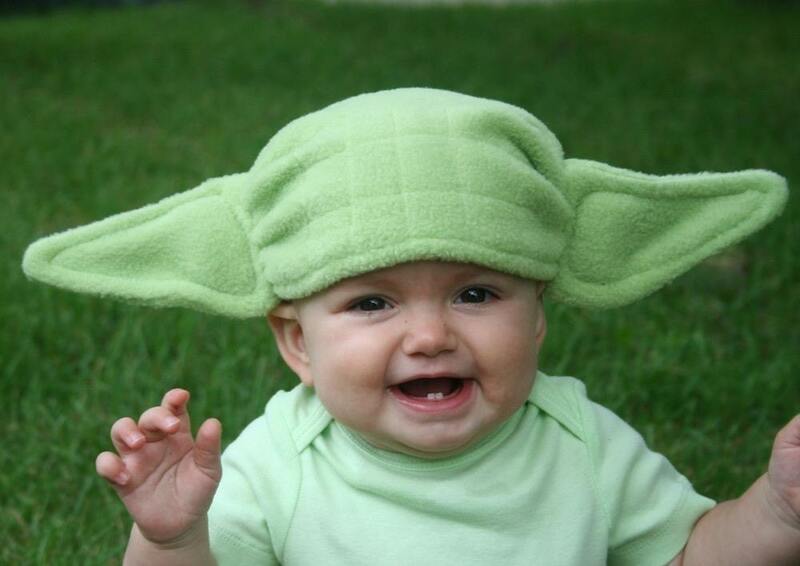 She doesn't cross the line into copyright infringement, so that is good, but she is relying on a current fad. There's nothing wrong with that, but it's definitely not for me. Her wands and sweaters are selling well now, but they will fade away with the end of the series of books and movies. She will eventually have to find another trend to follow. By choosing to pursue the items we are passionate about making, we are choosing long term success over short term popularity. My hubby has been working with leather a lot lately. His creations will stand the test of time with their classic looks. My favorites are his "magic braid" earrings. 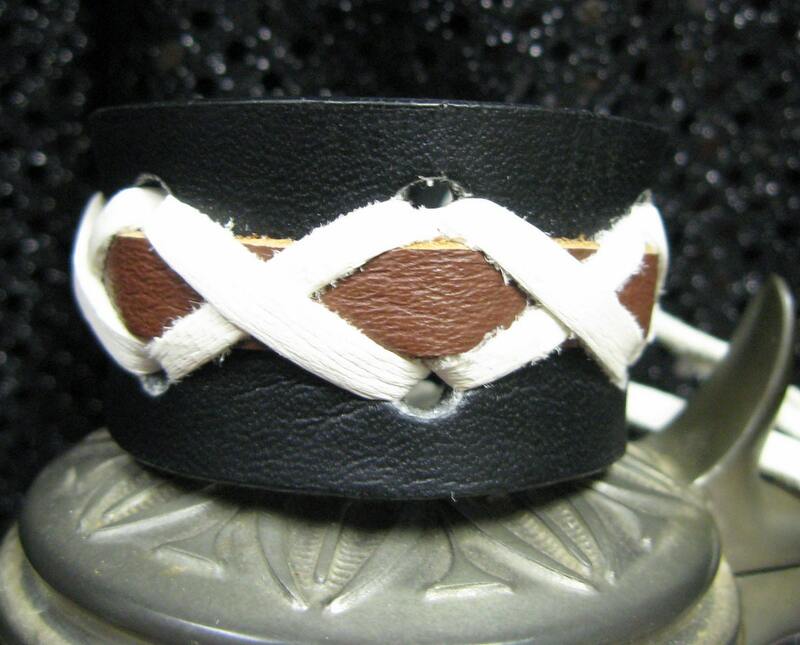 The leather isn't slit clear through to the end, so it takes magic to make the braid. 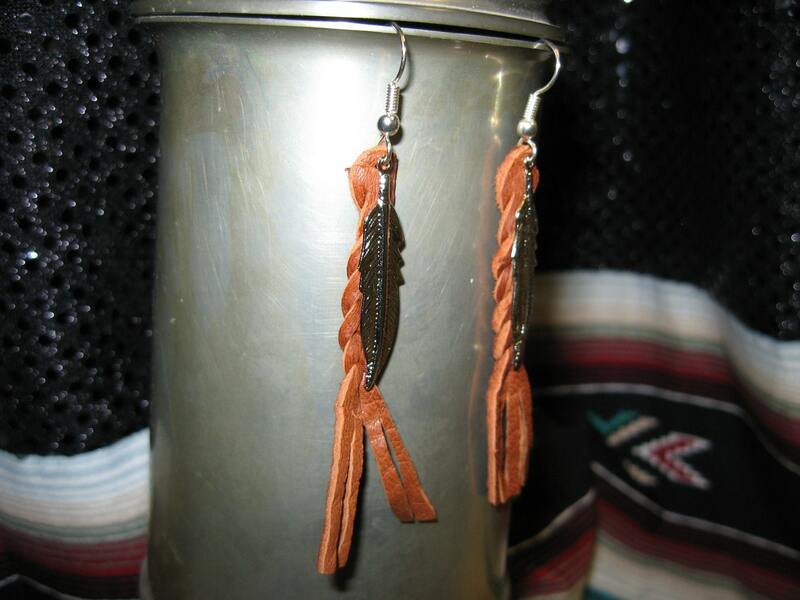 He tops them off with a metal feather or arrowhead and they look fantastic. I'm okay with not being "popular" because I love what I create and I believe we have very beautiful items in our shop. What are you passionate about? The pick of last week's party is Annie Dee's. Like me, she is a mother of two who works full time. Unlike me, her children are still small and probably need her more than my children do. She loves to try to figure out how to make things and I love that she makes her flowers very versatile. All of her hair flowers can be adorned on a snap clip, bobby pin, pin (brooch), or stretch headband (brown, tan, or black) - customers just request which one they want when ordering. One great way to impress your customers is with how you package your products. Boring packaging may work well for mass produced merchandise, but people often hope for more from artisans. In the purchases I've made on Etsy, I've seen quite the range of packaging. Some are just placed in the envelope and mailed, while others place items in bags, boxes or paper before putting them in the envelope. I don't think any less of those who don't do anything special, but I will never forget the people who go to the extra effort. It can be as simple as a nice handwritten thank you card or as elaborate as gift boxes. 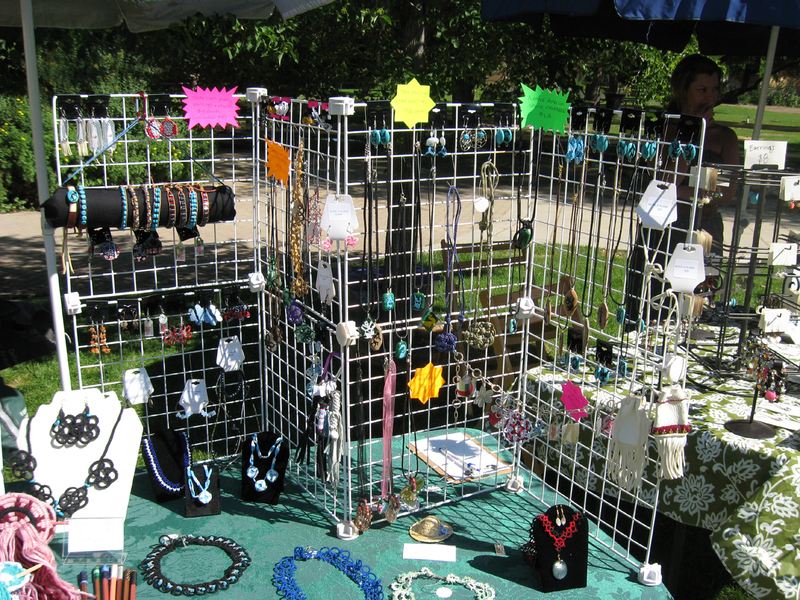 Many sellers like to add something "extra" like an extra piece of jewelry, some beads, or some little trinket. There's even a Flickr group that focuses on Etsy packaging. Remember my feature on Leslie Witmer? She definitely knows how to wow her customers with packaging. Check out the hand-folded box she sent her jewelry in! 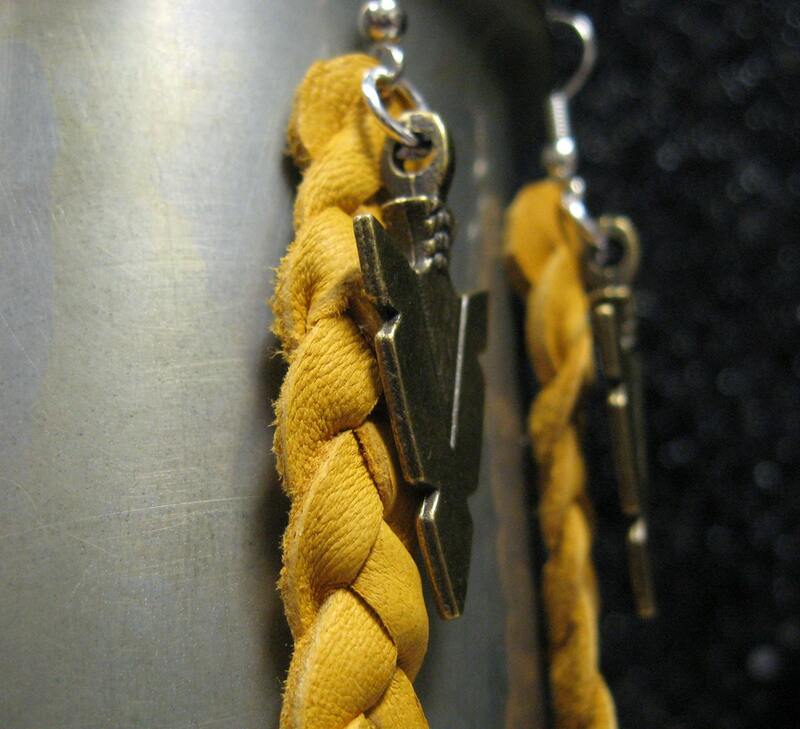 It shows off the jewelry incredibly well and she attaches a custom label and even a little bling. I can't bring myself to throw away the box and she has made a big impression on me. I haven't done a whole lot with my own packaging yet. I have ideas, but I always seem to run out of time. It's not much, but I do include a small thank you card and wrap the item in tissue paper. How do you package your products? What's the most memorable packaging you've seen? The pick of last week's party is Dizzy Owl. How can you resist a name like that? Breann Serrano confesses to be a crochet addict and I'm sure she's not the only one. 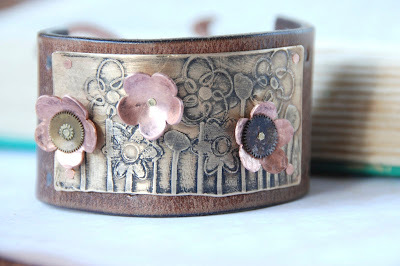 She's only been on Etsy for a few months, but she has some great stuff in her shop. 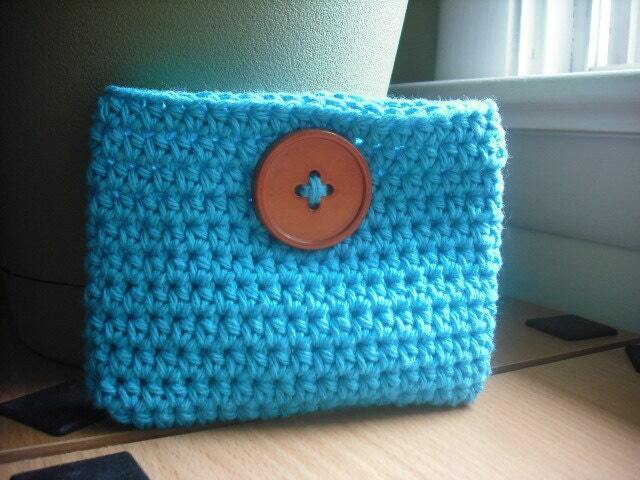 This button pouch really caught my eye. I don't run into too many tatters in person, but there is a thriving community online. There are blogs by tatters all over the world and it's really fun to follow them. Some of my favorite tatters are in England, Canada, Australia, and Japan. You would be amazed at all the tatters around the world. It actually helps as some of them are able to help others get supplies unique to their part of the world. Threads, beads, and shuttles differ and there are great pattern books as well. I even have a tatting book from Norway! Tatters are generally very kind and generous, sharing with their fellow tatters as much as possible. Over the past couple of months, I have benefited from some of that generosity. One tatter shared her surplus of handkerchiefs with her blog followers. I received one of those beautiful hankies and I can't wait to add an edging to it. Fox at tat-ology gave away some of the thread she was done with. I was happily surprised to see she included some tatting and a few findings with that spool of thread she sent me. It's so exciting to get packages like these with the extra surprises. There's nothing quite like receiving a piece of someone else's tatting. The pick of last week's party is Julien Denoyer Photography. He is a self-taught photographer living in Madrid, Spain. 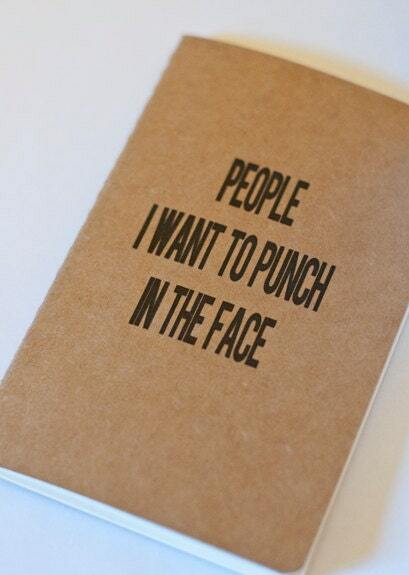 He won me over with some of his journals with snarky comments and impressed me with his donations to charity. I like to see someone having fun with his art. One of the things I like to do when we set up at a live event is to tat. 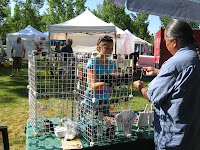 We've been setting up at some farmers markets lately since Etsy has been so slow. Working on tatting at public events draws attention from those who walk by our table. It's interesting how many people think tatting is a dying art. I like hearing people tell me about who they know that tats. Showing off part of the creative process has been a great boost for our shop. Even if they don't end up making a purchase, they remember us. This last weekend, I made some earrings and a pendant by tatting flower designs over small glass decor gems. For the pendant, I made the flowers separately and then connected them over the glass while incorporating a bead at each petal point.